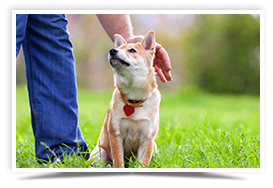 PREVICOX is a type of veterinary-prescribed pain reliever called an NSAID (nonsteroidal anti-inflammatory drug) that your veterinarian may prescribe for your dog to help treat the pain and inflammation associated with OA. 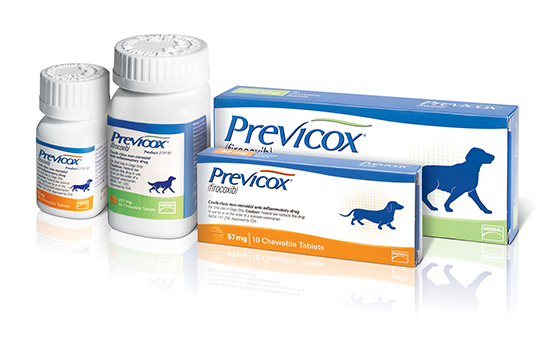 PREVICOX is designed just for dogs and acts fast to help relieve pain and inflammation associated with canine OA,3 which may help your dog get around more easily.5,6 Talk to your veterinarian about including PREVICOX as part of your dog’s OA treatment plan, and help get him on his way to getting back to himself. 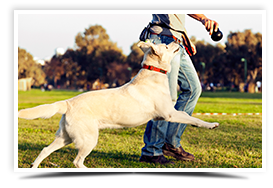 In field studies, PREVICOX was shown to be safe and effective when administered at the recommended dose (5.0 mg/kg orally once daily) for the control of pain and inflammation associated with OA in dogs. 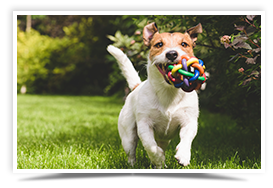 PREVICOX chewable tablets are easy and convenient to give on a daily basis. With a barbeque flavor dogs like, they can be given with or without a meal.